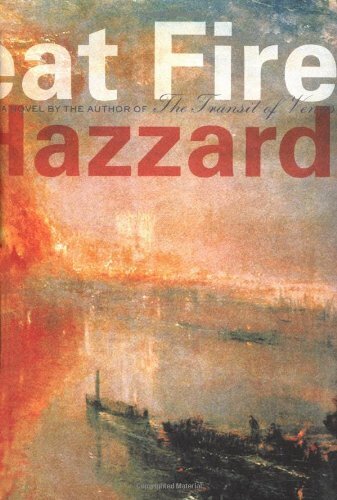 A great writer's sweeping story of men and women struggling to reclaim their lives in the aftermath of world conflict&nbsp;&nbsp;&nbsp; &nbsp;<i>The Great Fire</i> is Shirley Hazzard's first novel since <i>The Transit of Venus</i>, which won the National Book Critics Circle Award in 1981. The conflagration of her title is the Second World War. In war-torn Asia and stricken Europe, men and women, still young but veterans of harsh experience, must reinvent their lives and expectations, and learn, from their past, to dream again. Some will fulfill their destinies, others will falter. At the center of the story, Aldred Leith, a brave and brilliant soldier, finds that survival and worldly achievement are not enough. Helen Driscoll, a young girl living in occupied Japan and tending her dying brother, falls in love, and in the process discovers herself.&nbsp;&nbsp; &nbsp;In the looming shadow of world enmities resumed, and of Asia's coming centrality in world affairs, a man and a woman seek to recover self-reliance, balance, and tenderness, struggling to reclaim their humanity.&nbsp;&nbsp;&nbsp; &nbsp;<i>The Great Fire</i> is the winner of the 2003 National Book Award for Fiction.